Fear Konstruktor is an one-man Dark Ambient/Experimental project from Russia. Name of the man behind this project is Nikita aka Lynch. 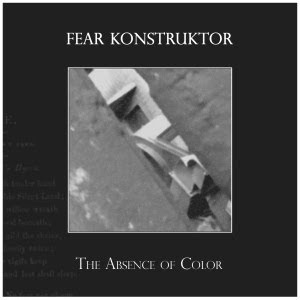 Fear Konstruktor already have two releases on internet, so this is the third release - The Absence of Color. Here are 7 tracks in Dark Ambient / Experimental style, all tracks have some story behind it. The main idea of the project is mixing magical, medieval and ethnic themes with the touch of mechanics and machines. The combination of magic and technology.